Rule 68 of the Federal Rules of Civil Procedure is a tricky rule that plaintiffs' lawyers have to learn quickly when defendants' counsel serves a Rule 68 offer. Under Rule 68, the defendant offers a judgment to plaintiff for a sum of money. If the plaintiff rejects that amount and then recovers a lesser amount at trial, then plaintiff has to pay the costs that defendant incurred after the Rule 68 offer was served. That does not mean the plaintiff pays out the defendant's attorneys fees. But it does mean that if the case is brought under a fee-shifting statute, such as Title VII or Section 1983, the plaintiff does not recover her attorneys' fees post-Rule 68 offer. This case asks what happens when the defendant offers plaintiff an amount of money that would provide everything that plaintiff was asking for in filing the lawsuit. Does that offer moot out the case? The case is Geismann v. ZocDoc, decided on March 9. Plaintiff sued ZocDoc under the law that makes it illegal to send out unsolicited faxes, the Telephone Consumer Protection Act. This was brought on as a putative class action, so defendant tried to nip the class action in the bud by offering plaintiff enough money to make the case go away. The Rule 68 offer would give plaintiff $6,100, which is what the plaintiff was suing for. 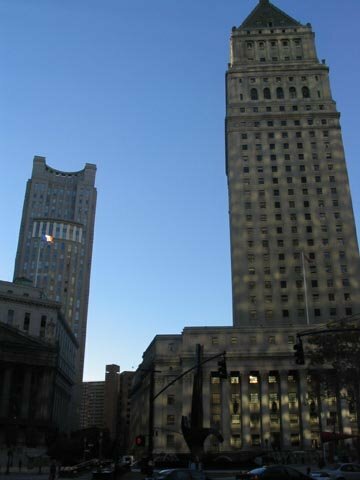 Defendant also deposited the full amount of the plaintiff's claim in an account payable to plaintiff. Rule 68 offers are only good for 14 days. After that, under the rule, the offer is "withdrawn." In this case, the plaintiff rejected the Rule 68 offer, prompting defendant to argue that the case was now moot. What is the point of proceeding with the case if the defendant offered plaintiff the amount of money to which is entitled, making him whole? The district court accepted defendant's argument, but the Second Circuit (Sack, Hall and Carney) reverses and reinstates the case, 1.5 years after the case was argued. While this appeal was pending, the Supreme Court took up the same issue, ruling that since the Rule 68 offer is withdrawn once plaintiff rejects it, the case is not moot and the plaintiff may proceed with the lawsuit. That case, Campbell-Ewald, said that because "an unaccepted settlement offer -- like unaccepted contract offer -- is a legal nullity, with no operative effect. ... With no settlement offer still operative, the parties remained adverse; both retained the same stake in the litigation they had at the outset." In our system, the Supreme Court tells the Circuit courts what to do. The Second Circuit notes that the district court's ruling in this case was understandable. But that was before the Supreme Court handed down Campbell-Ewald. On the basis of that case, Geismann's case is reinstated, and he and his class-action plaintiffs can sue ZocDoc over the annoying faxes that come in that nobody asked for.